The Bush Administration imposed duties on some goods from China yesterday. While the duties are only for high gloss paper, it sets a precedent in our China trade relationship and changes direction away from the free trade policies which have been the hallmark of the US government. While some may have a knee jerk reaction for or against free trade, these issues are complex. This particular issue surrounds whether the Chinese government subsidies paper manufacturing through tax breaks, debt forgiveness, or low cost loans. Additionally, there are issues with the form of subsidy allowed for a state owned enterprise which may significantly reduce their costs relative to US manufacturers. The trade issue is heating up in a number of directions. Two leading US Senate critics of China’s currency policy – Sen. Charles Schumer, a New York Democrat, and Sen. Lindsey Graham, a South Carolina Republican – said on Wednesday that they expected Congress to pass a ”veto-proof” bill forcing Beijing to raise the value of the yuan. An interesting piece of legislation is when the Congress decides to change the value of a currency. What is especially problematic about the current legislation is that is cosponsored by both Democrats and Republicans. The normal party of free trade, the Republicans, is being united with Democrats to move trade policy in a new direction. Constraints on trade cause a reduction of overall trade flow which will hurt what may be the fastest growing area of the US economy now that the housing sector is languishing. The importance of trade is even greater if we believe that growth in Europe and Asia will exceed the United States in the coming year. Most economists suggest stronger growth outside the United States in 2007.Global constraints on US exports in retaliation to US action will especially hurt now that the decline in the dollar may actually allow for an increase in exports. Nevertheless, increases in exports will not occur overnight. This is why avoiding trade constraints at this time is important. There is the well-known J-curve effect whereby trade will further deteriorate even if there is a decline in a country’s currency. Imports will be booked at current prices and exports signed for purchase may not be paid and not be displayed in trade statistics until later. While the focus of the world economy has been on China and India, there are other emerging markets that have shown good growth and strong sovereign balance sheets. While Latin America has not matched the behavior of many Asia countries, it is an important trading partner to the United States and may be one of the places where we could see the greatest change in growth. To better understand this region requires a local Latin perspective, yet there are few places where an alternative perspective can be gained. One place which is a good resource is Opinion Sur http://www.surnorte.org.ar/index.php. It is a free online publication dedicated to finding new solutions to poverty in Latin America and to analyzing the impact of global processes in the region. Looking Ahead discusses the increasing diversity of growth in the world economy and that the United States may not be the driver of global growth. While many of the arguments for the decline of the dollar are familiar, the Latin voice provides an interesting perspective. The dollar may not be the currency of choice for many emerging markets countries in the coming decade. Many are now paying down their dollar debt and trying to develop local financial markets. This is a new phenomena given that a major theme in many countries over the last decade has been dollarization of economies. The General Trends in Latin America Politics is an insightful piece on the politics of this important region. The area is undergoing large transformations which go beyond the extremism of Venezuela. The political landscape offers significant economic opportunities and something that should be watched closely in the coming years. The VIX index spiked in the last month in response to the sell-off in the stock market, but has now moved back within three points of its average for the last year. It has historically been viewed as a good measure of risk uncertainty. so there has been a focus by many investors on any increases in the VIX in expectation of a market sell-off. We had a contemporaneous change in the index with the decline in stocks, but the fall in the last two weeks suggests that the market has discounted its fear and is now back to only slightly above the level seen for the last year. Unfortunately, using the VIX index as a forecasting tool in the short-run has some problems. While there is a strong negative daily relationship between the S&P 500 and the VIX on a contemporaneous basis, the relationship seems to disappear once you lag the VIX by one day. The short-term change in the level of the VIX does not have skill at telling us what may happen in the future to the stock market. Hence, in the short-run, it can only be used to provide insight on whether a change in the stock index is being validated with higher option uncertainty. Theoretically, we may want to believe that the line of causality runs from higher risk to lower returns, but the empirical results for a linear model are less persuasive. The trade-off between risk and return is more complex than a simple rule of selling stocks when the VIX spikes. The best research I have seen on this topic was done by P. Giot, "On the relationships between implied volatility indices and stock index returns." (See http://ww.core.ucl.ac.be/econometrics/Giot/Papers/IMPLIED2_i.pdf for details.) He shows that there is a much more complex relationship between the VIX and stock returns based on the level of volatility and the direction of the market. This will not be seen in simple linear models. What may be important when using the VIX is knowing the overall level of risk relative to the mean. Like what has been found with most of the GARCH models, volatility has a tendency to spike and then decay to a mean. It is the relationship of volatility to its average and not its contemporaneous level with stocks that may be the most important information for equity investors when looking at the VIX. The low level of risk premium in many markets has been a disturbing theme in 2007. Starting with the The Financial Times editorial by Lawrence Summers arguing that risk premiums did not reflect the geopolitical uncertainty in the world, there has been a growing cry for what we may call risk compensation sanity. The increase in the VIX index last month was viewed as a signal that risk has reentered the global markets but after a short correction there again seems to be a complacency with respect to geopolitical risk. The "wall of worry" is not very high in today's markets and those who restructured their portfolios during the recent market decline have been paid back with under performance. So what should investors do? Follow the signals of the market which are the aggregation of all market opinions or prepare for a sell-off of the riskiest markets? 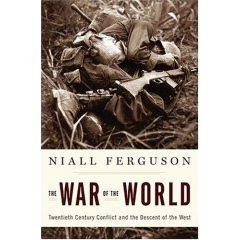 A recent reading of Niall Ferguson's new book The War of the World suggests that the biggest geopolitical event of the 20th century was wholly unanticipated by the world bond markets. (See http://www.niallferguson.org/ for more details on Prof. Ferguson.) Prof Ferguson examined the bond prices for the sovereign debt of the leading countries to be embroiled in WWI. Given the war would have to be financed through the debt markets, these bonds should be the most sensitive markets to any hostilities. He found that for the prices available right before the beginning of the war in August 1914, there was little decline in value of bonds for any of the major combatant countries. This was even after the assassination of Duke Ferdinand which was the root cause of the war. Historians have often suggested that war was inevitable in Europe at that time but the bond markets at that time thought differently. The signs may be present in hindsight, but that does not mean we can see them before the fact. Perhaps markets have a hard time discounting a large event which had a low probability, or perhaps the markets were overly optimistic that diplomacy could save the day. We cannot say why there was not a strong reaction, but it is food for thought that we can be in a similar period. Markets may not be able to effective discount those low probability geopolitical events we are seeing around the world. Certainly, there is little historical data which will point to what the markets will do during some geopolitical risks. We just do not know. So how do you prepare for these types of events? Most important is the realization that markets are less likely to discount what has not occurred regularly so that there should be less confidence in markets properly discounting these events. Low risk premiums do not mean that there are low risks. It may only mean that the risk we are facing have not been properly priced. History provides us with many lessons. The greatest lesson may be that we will be surprised by those events which are unique and not generally countable even if they are reported on every day. News reports state that India will ban futures trading in the wheat and rice markets because of rising prices. This is an interesting turn of events on the dynamics of market regulation. India has concerns that futures markets are driving prices up. Prices of wheat and rise have risen in these markets substantially above the core rate of inflation. This has been occurring in grain markets around the world over the last year. For wheat and rice, global stocks have declined significantly. Futures markets have predicted that prices should move higher on the fundamental supply and demand situation. As has been the case in the past with futures markets, their role of price discovery is frowned upon when the discovery is not to the liking of the government. Clearly, regulation in many cases is driven by the special interests within a country. In the United States, discussions of banning futures trading have generally surrounded issues of declining prices. Futures market speculators were viewed as destroying farmer income through driving prices down. In the case of India, where the government leans to the left, special interests are focused on the consumer as the end users of grain. Agricultural markets in the United States have been generally driven by the special interests of farmers. However, this bias against falling prices in the United States may be changing especially when it comes to energy markets. With oil prices and unleaded gas again on the rise, there may be more focus on energy futures trading by the government. The end user or consumer may be a more important driver in the regulatory process over the next few years especially if there is a Democrat president. Of course there should be oversight of the markets to ensure that they are efficient and not manipulated but shooting the messenger if the signal from the markets is not palatable sends a worse message -- we do not like to see markets do their job. The benchmarks for equities and fixed income are generally very well established, but determining the appropriate benchmark is still one of the most important strategic issues for a pension manager. Most investors will employ the S&P 500 for equities and use the Lehman Aggregate for domestic fixed income. These benchmark standards are well accepted and deviations are undertaken for specific reasons to exploit market features such as a focus on small capitalization or international. Customization has increased, but still has often been described in terms of its relative merits versus the core benchmarks. There has been less research on analyzing the appropriate benchmarks for commodities and with more benchmarks there has been increased positioning to create a better alternative. There have been good comparisons of the major b enchmarks to show their characteristics and performance, but there has been less discussion on what should constitute a good benchmark. For example, should the driver for allocation weights be liquidity, diversification, or determined by production? How should the total return be measured for the index? What should be the roll convention for futures trading?All current benchmarks have valid reasons for their construction, but a single standard has not been clearly identified or agreed upon by the market even though the GSCI is the market leader in volume of trading. These construction differences can lead to significant difference in the return performance between these benchmarks. Look at the difference between the major commodity indices as listed by Bloomberg. For the last year, there is over a 19% difference between the Goldman Sachs Commodity Index and the Dow-Jones AIG Commodity Index. Over a five year period, the difference is only slightly less than 200 bps per year, but still relatively large. Consequently, the strategic choice of the benchmark will have a large impact on performance. This strategic choice may be greater than the alpha added by a active manager if there are tight restrictions on the level of deviation from the benchmark. the limited number of commodities traded in the index. The low correlation means that smaller changes in the allocation of a benchmark will have a larger impact on the total return of the index. Each commodity has a higher degree of uniqueness than what would be found with a stock or bond index. While there is relatively high correlation in the energy markets where all of the futures markets either represent the core commodity crude oil or refined products of crude. The greatest differences in correlation in the energy sector occur between natural gas and crude oil. In other sector groupings there are also large differences in correlation. For example, the base metals sector have seen significant differences in performance with copper rising significantly over the last year and aluminum only increasing slightly. In some case, the correlation of between seemingly close substitutes is not high. For example, the price correlation between London (robusta)and New York (arabica) coffee, albeit different beans, is only .58 over the last year. The price correlation between London (white) and New York (#11 world) sugar was .69 over the last year. The price correlation between Chicago (soft red winter)and Kansas city (hard red winter) wheat is higher at .81 for the last year. This low correlation is coupled with the high volatility for many markets to create more distortions across indices. There will be significant differences in the total return across many of these markets over a short time period. For example, with coffee or any agricultural product that is subject to a supply failure, there is the opportunity for large price changes. The lack of substitutability means that supply shocks could create large price moves. Nevertheless, there is a tendency for mean reversion in the longer run for commodities. This can explain why the one year total returns may differ so substantially from the five year performance numbers. While volatility for many equities may be higher than what is found in many commodities markets, the impact of volatility is greater when there is less correlation across the markets. Currently, there is over a 50% spread between the best performing commodity market, nickel which is up just under 38% for the year and zinc which is down over 26%. Both are in the base metals sector of the market. Finally, the lack of markets means that the allocation to any one market will be greater than what is seen in either equity or fixed income indices. For example, the large allocation to energy markets is difficult to reduce beyond a specific level because the index would then face liquidity constraints. There has to be greater awareness and sensitivity to benchmark issues which may suggest the need for customization in the commodity space. Additionally, there is greater opportunity for active management to offset some of the problems with benchmark construction. Slight tilts or adjustment in the indices will provide opportunities for return enhancement. Why engage in financial research? Some say that the questions stay the same and it is the answers which are changing. To some degree this true. I have been researching some of the same topics for 25 years, so you sometimes question why you should engage in the research process. The reasons can be made clear through reading how others cope with change. The markets are dynamic and constantly changing, adjusting, and mutating. Staying the same will lead to failure. This is a process that is occurring in all markets not just those of finance. 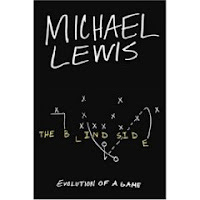 I just finished Michael Lewis's new book The Blind Side: Evolution of a Game. It is a great story of a special family and an interesting tale on the development, pricing, and marketing of football players with unique skills and the market adaptation to changes in the game of football. What makes Lewis a great writer for traders is his ability to discover stories that describe market inefficiencies which are exploited for gain by those who have a special vision. In Liar's Poker, the inefficiency was the development of the mortgage market and fixed income arbitrage. In Moneyball: The Art of Winning an Unfair Game, the inefficiency was looking at certain statistics which were not exploited by baseball scouts to find good cheap players - value investing. To those who are able to find and exploit inefficiencies, there are profits. In the worlds Lewis explores, the job of the visionary investor is to find these exploitable opportunities because the markets will adjust quickly. In Moneyball, general manager Billy Beane acts like a value investor who uses new methods to find find ballplayers who could be acquired cheaply. Since it was written, markets adjusted to the statistics of on-base percentage and now pays a premium for those who can get on-base. The opportunity has been eliminated or priced out of the market. In The Blind Side, Lewis describes how the development of innovations in the passing game has led to a premium for defensive linemen and linebackers who tackle the blind-side of quarterbacks. This innovation has led to the demand for specialized offensive left tackles. There is a premium for their skills to the point that they are now the second highest paid players in professional football. The market has innovated and adapted and now pays a premium for those with the skill to protect the quarterback. The market is now on the hunt for those special players who can provide an edge in protecting the quarterback. So what do you have to do to be successful in the markets? You have to look for The New New Thing. You have to adapt. You have to change. You have to continue the process of research to try and find what others have overlooked or what can now give you an exploitable edge. It could be a new idea. It could be an old idea repackaged. It could be a response to the changing behavior of others, but it has to be innovative. To make money requires constant vigilance and adjustment. That is why you still have to conduct research at any age.